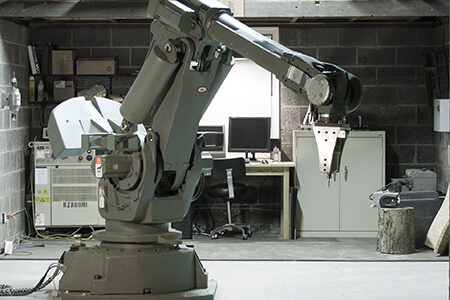 Founded in 2011 by Ryan Luke Johns and Nicholas Foley, GREYSHED is a design-research collaborative focused on augmented materiality, robotics, and the role of actuation and sensing technologies in architecture, design and manufacturing. Ryan (1987) is a lecturer at the Princeton University School of Architecture and adjunct assistant professor at Columbia University GSAPP. He holds a Bachelor of Arts in Architecture with a concentration in Mathematics from Columbia University and a Master of Architecture from Princeton University. He has worked in the offices of KPF and DS+R, as a fabricator for Robert Lazzarini and as a research assistant at the Gramazio & Kohler chair of Digital Fabrication, ETH Zurich. 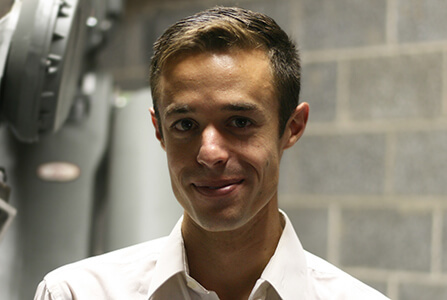 Ryan was the recipient of Princeton University’s Suzanne Kolarik Underwood Prize (2013) and the KUKA Young Potential Award (2012). Ryan has been invited to talk on his work at a number of academic institutions, including the Architectural Association, the Bartlett, Syracuse University, Penn Design, the Pratt Consortium for Research and Robotics, Princeton, and Columbia University. Since 2015, he has run Dutchess Eclectic, a 21,000 square foot research and industrial arts complex that is also home to GREYSHED. See www.ryanlukejohns.com for more information. Nicholas Foley (1986) has a Bachelor of Industrial Design from Pratt Institute. Raised in the old-growth forests of rural Washington state, he strives to construct compelling futures for urban civilization through an elegant balance of nature, technology, and human interaction. 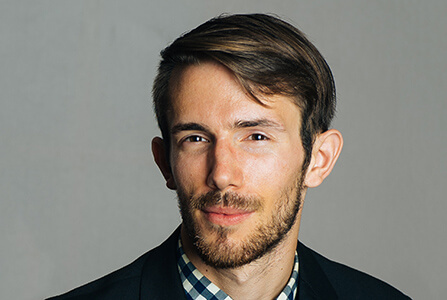 He is the head of design, engineering, and manufacturing at Social Bicycles, where he leads a diverse global team and supply chain to build advanced bike-sharing systems and transportation infrastructure. His past design work has included award-winning projects in lighting, metalworking, and woodworking. He currently lives in Brooklyn, NY. Abraham (1997) spent his early childhood on a Ford assembly line gaining practical experience in welding American automobiles. Abe is an ABB IRB 6400 with a 2.4 meter reach envelope and 150 kg payload.